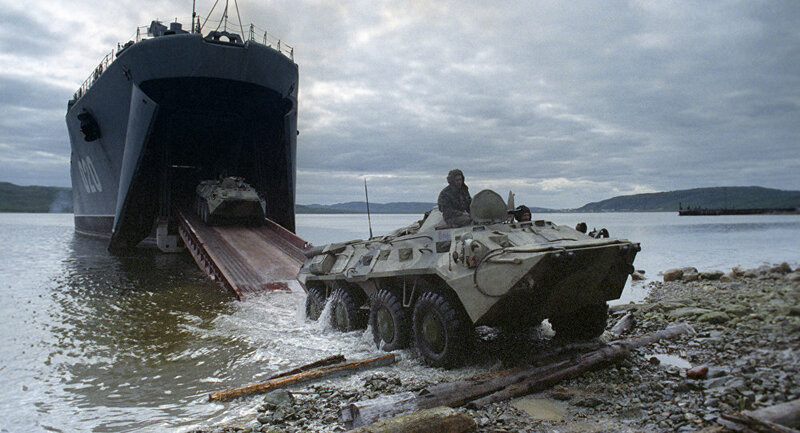 The Russian Northern Fleet land and coastal troops continued readiness exercises to work out tasks in the Arctic during 2016 winter drills and expeditions, including with the use of snowmobiles and sleds, the fleet commander said Saturday. MURMANSK (Sputnik) – The fleet’s independent motor rifle brigade’s reconnaissance company joined the Russian Geographical Society for an expedition along the White Sea coast aboard three Army A-1 snowmobiles in February, Vice-Admiral Nikolai Yevmenov said. "Reconnaissance troops performed a set of measures to inspect Arctic armor and equipment in extreme conditions during the expedition. 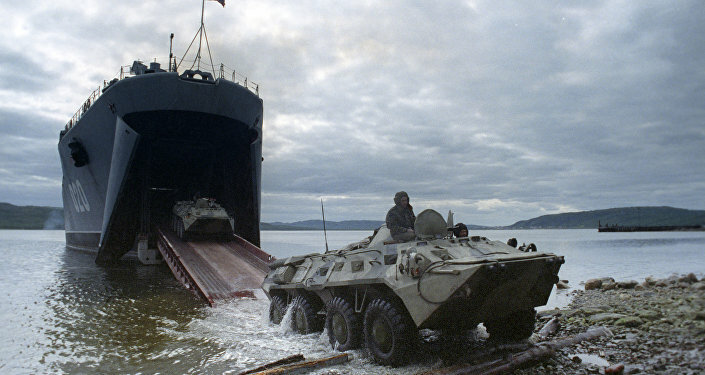 They also gained daytime and nighttime experience in driving snowmobiles in unfamiliar terrain," Yevmenov said at the Northern Fleet military council’s expanded session. Additionally, the motor rifle brigade personnel for the first time deployed new tactical actions using regular specialized equipment, including snowmobiles and double-link snow and swamp-going vehicles, as well as deer and dog sleds. Another motor rifle brigade group of 60 held the first tactical live fire drills to counter the threat of modern terrorism on the Novaya Zemlya archipelago in March. "The tasks performed were transporting personnel and equipment to the Arctic islands aboard air transport aircraft, navigating to an assigned area on snowmobiles, and equipping firing positions and recreational areas for personnel in challenging winter conditions," Yevmenov said. The vice-admiral added that paratroopers completed the first in the fleet’s history landings on the Russian drifting polar station Barneo near the North Pole after undergoing special training with the Airborne Forces division in Pskov.